Posted in: Uncategorized. 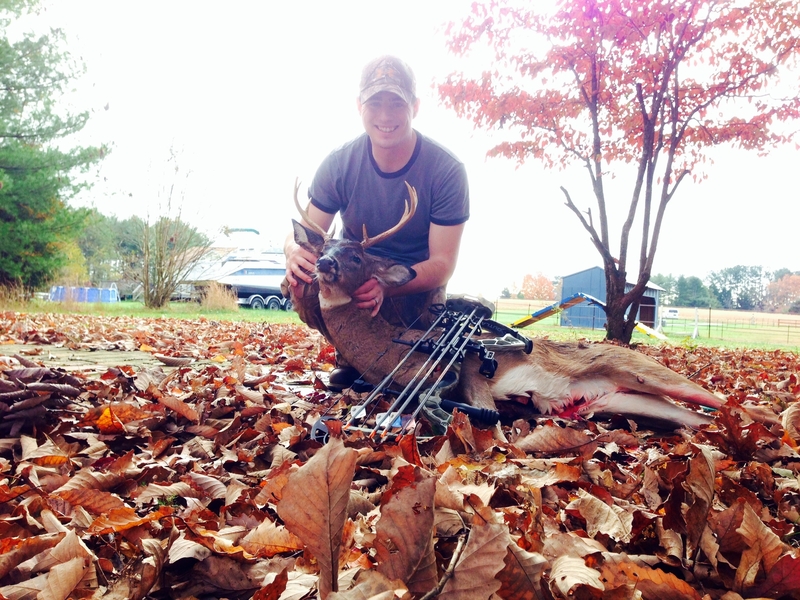 Tagged: Archery, Boneshed Archery, Bow, Buck, Hunting. Posted in: Uncategorized. 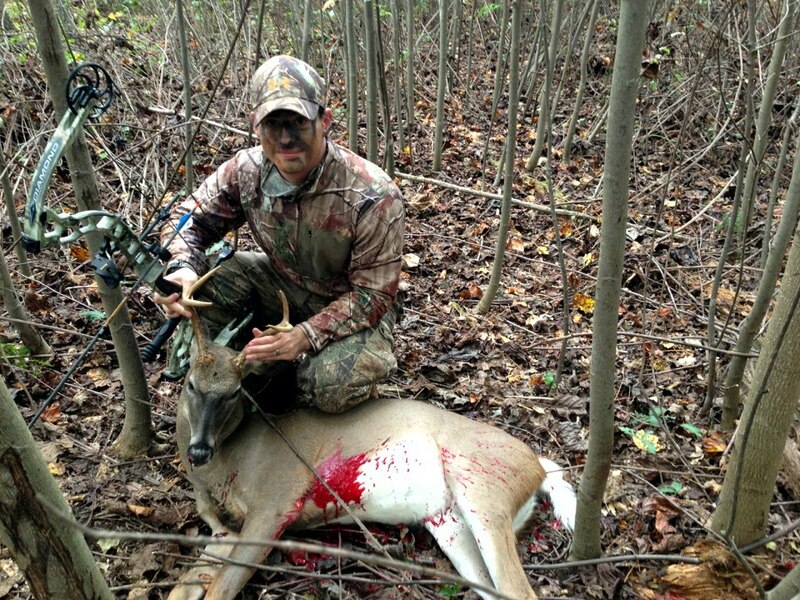 Tagged: Archery, Buck, Deer, Opening Day. Last summer my wife bought me my birthday present from Boneshed Archery. She purchased a Diamond Outlaw Bow! I know this is not the most expensive bow out there but for a starter bow I could not be more satisfied with the product and service that we recieved from Boneshed Archery. The owner of Boneshed Archery took time to fit the bow to me, give me pointers in how to handle it, and worked with me on my technique. Up to this point I never spent any time hunting with a bow and within a couple of hours I had been given the basics to practice for opening day. 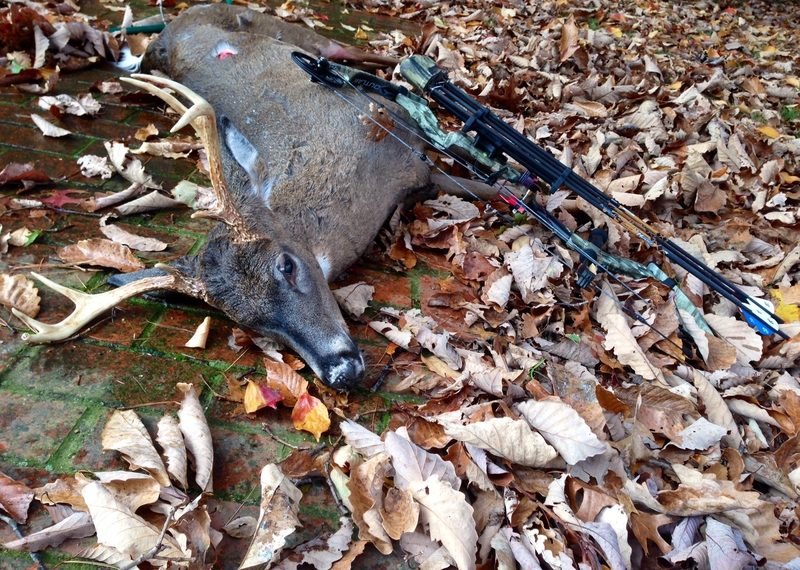 Come opening day I had my chance at to take my first deer/buck/with a bow. Without even thinking I went step by step and in a moment I was watching my first deer fall to the ground. This was a great experience to have and not to mention that my first exposure to bow hunting was done professionaly from Boneshed Archery. I would recommend Boneshed to anyone and everyone!